In 2010, the first time I heard about the October Unprocessed Challenge, I mentioned it to our family at dinner one evening. I had seen a tweet about it, clicked on the link and considered how difficult it would be for my family to function with nothing but unprocessed foods. As a mom with four grown children, I had been buying convenience foods for years, providing prepared food for parties, and picking up quick snacks on the run. All of us wanted to eat healthier foods, but we hadn’t invested any real time or thought into making changes. We agreed to try the Challenge, and began buying more fresh foods at the farmers markets, as well as reading labels on the foods we purchased. To keep myself inspired, I started reading blogs about healthy eating, including Eating Rules, and by September 2011 the contents of our pantry had changed. Instead of the cake and brownie mixes, we now had oatmeal and whole grain flours for homemade goodies. Boxes and bags of processed side-dishes were replaced by quinoa, couscous, brown rice and beans. Our repertoire of fresh fruits and vegetables expanded to a wider variety. 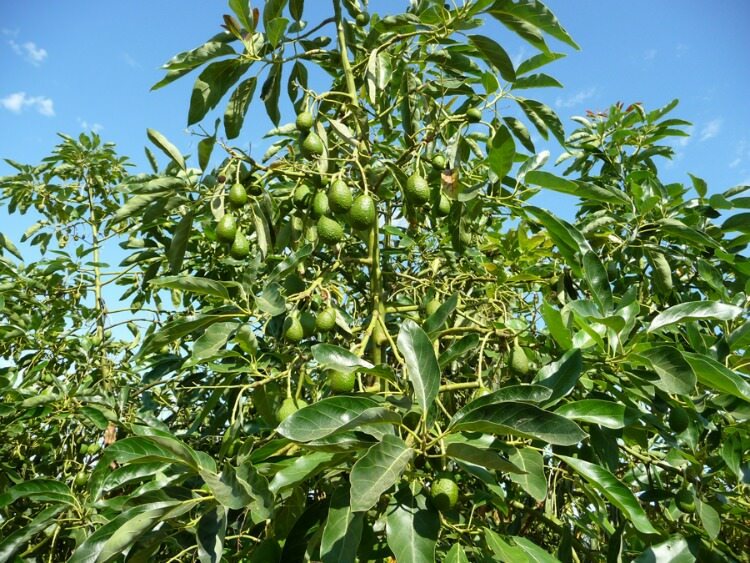 Coming from Vermont, I had never eaten avocados, but after I married an avocado farmer and began raising our family in the middle of 10,000 avocado trees, avocados became a staple in our diet. When I went back East, friends would ask me what an avocado was, how to eat them, why they’re good for you. Aren’t we glad that times have changed! Now most people can’t wait to tell me how much they love avocados…they’re healthy and delicious, fun and creative to use in recipes, great for snacks or meals at any time of the day, perfect party food… and they can be eaten plain, right out of the skin as fast food too! In fact, avocados could be the ultimate unprocessed food! If you are still on the fence about trying the October Unprocessed Challenge, just go for it! 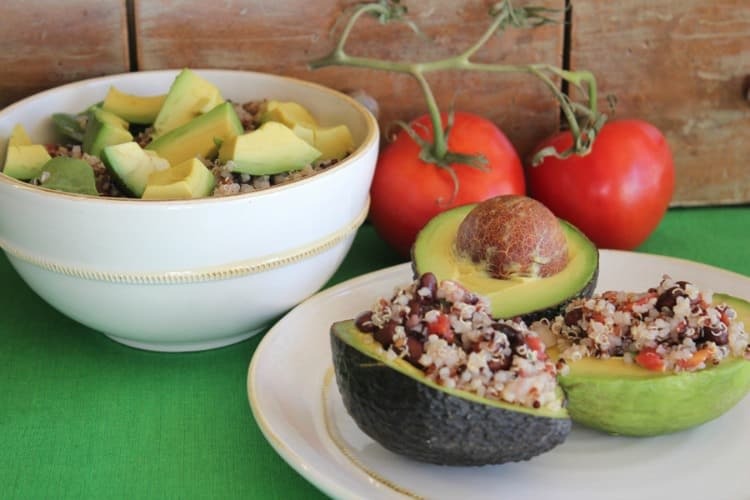 Start with an avocado, and it’s easy to meet the challenge of eating unprocessed foods all year long. Here on the ranch we enjoy avocados on sandwiches, salads, and soups. For breakfast we top our scrambled eggs with avocado. Try avocado instead of mayonnaise to make deviled eggs. Avocados can be used in cupcakes, cookies, quick bread, ice cream and even chocolate fudge! Here’s a recipe for one of my favorite salads…easy to do with just a few ingredients. For convenience, I usually buy fresh salsa without the preservatives and stabilizers used in some bottled salsas. Look for canned black beans that do not include anything but water and black beans…no additives. Easy to do with just a few ingredients. For convenience, I usually buy fresh salsa without the preservatives and stabilizers used in some bottled salsas. Look for canned black beans that do not include anything but water and black beans…no additives. Combine the first four ingredients and season to taste. 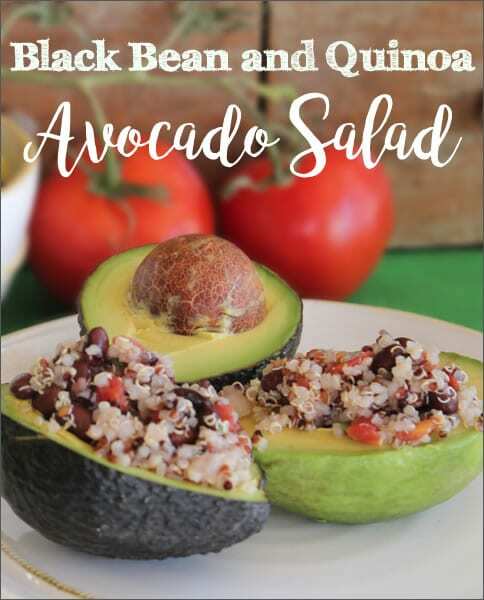 Serve with avocado chunks on top, or use the salad as a filling for half an avocado. I could totally dive into that bowl! Sounds delicious. Avocados don’t last long in my house – we fight over them! Oh, yummy! I love avocados but have not been very creative with them. My standard is chunks of avocado and tomato with a sprinkle of feta cheese and a splash of balsamic vinegar. I never thought of using avocado to make deviled eggs. This recipe looks wonderful. Thank you!! Love this! I have leftover quinoa from last night and all the other ingredients sitting in the kitch. Looking forward to making this lunch. This recipe looks absolutely amazing! I can’t wait to try it. Thanks so much, I love all of the great options on your site.